If you’re a small business user looking for ways to manage large amounts of email residing in your server or mailbox, the built-in archiving features of Outlook can understandably look pretty tempting. They’re easy to use, they’re right there in front of you and perhaps what makes them most attractive, they’re free! However, as you’ve probably anticipated from the title of my post, we’re not the greatest fan of archiving to PST as a long-term solution to the issue and there are number of considerations worth being aware of before you rely on this as the primary method for archiving your company’s email communications. One of the fundamental issues revolves around the fact that periodic archival to PST relies on messages being present in Outlook when an archiving job is run. This means that it’s entirely possible a message could be deleted accidentally between those archive jobs, never make it to the archive and therefore disappear without a trace. It’s also possible that, if they were up to no good, an employee could deliberately delete or modify an email prior to archiving in order to cover his/ her tracks should they wish. The real underlying problem here though is that should you need to retrieve messages for any reason, be it to reference a complete conversation thread with a customer, or perhaps to help with a dispute; doubt can always be cast over the integrity of those archived messages. And that’s if they’re present at all. MailStore takes perfect copy of emails the moment they arrive at the server, storing them securely and making them quickly accessible as and when they’re needed. Archiving with MailStore ensures this information is automatically centralised, included in your main server backup schedule and encrypted so it’s safe from prying eyes. You might assume that because you’re creating a PST archive periodically, that this is effectively a backup of your data. The reality however; is that you still may only have one copy of a particular mail if you’re pruning your mailbox and additionally; as your “backup” is likely to be living on the same hardware it’s still very much vulnerable. Protecting PST archives, whether they’re living on desktop machines or laptops, really means copying and centralising them as part of your company’s overall backup strategy. A point to note is that is that once a PST is opened, because it’s a single file it then requires a full backup taking as opposed to just the changes. This is likely to have an impact on the time it takes your backup jobs to run. MailStore, by it’s nature, is centralised but it also outputs a single backup, containing every message plus its configuration settings, which it updates incrementally. 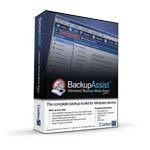 Because it consists of multiple files, any basic business backup software (we recommend BackupAssist) can perform incremental updates of this if required. If you create a PST archive in Outlook you’re archiving absolutely every mail, regardless of how many times it is duplicated and in it’s original, uncompressed format. While duplication is relatively limited for an individual user, across an organisation the combined size of all employees’ PST files can easily reach hundreds of gigabytes, or even terabytes. 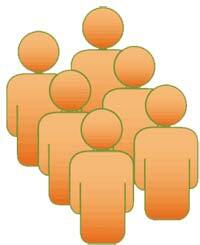 MailStore applies de-duplication across all users ensuring only one copy of any mail or attachment is stored. Attachments are also compressed for further space-saving. On average, we see a saving of around 50% when archiving data with MailStore. Because PST archives are database files, as they grow they can become corrupt which can often result in permanent loss of all of the data stored. 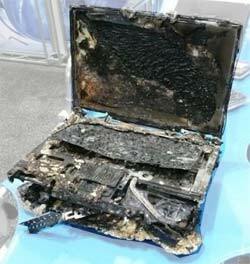 This can mean loss of critical information if the files are outside of standard backup processes – a situation that is all too common with laptop computers. MailStore stores individual message files and also creates multiple database container which are backed up by an automated schedule; ensuring your data is safe and secure. While you can perform searches across any number of PST archives attached within Outlook – this is only possible from the machine on which they reside. For users who require access from multiple locations, whether it’s occasionally from home or more frequently in the case of remote workers, multiple instances of that archive would be needed or roaming profiles which can create lots of duplication. MailStore keeps mail centrally and makes it available to any user with an Internet connection through a choice of Web interface, desktop client or mobile device (support for iOS, Android and Blackberry). Leading on from my previous point – because your PST archive is only available from the machine it’s located on, the data is generally not accessible by other users in the organisation. In some cases it’s possible to create an archive on a network share but this can cause problems if two users try and mount the file simultaneously. By default access is restricted to your own archive in MailStore but a simple permissions system enables users to access those of any others. This is useful in scenarios where teams work on a single project (common in the construction sector) or where management require visibility of all communications across a department for example. Outlook doesn’t offer the ability to search within attachments and this obviously also applies to any archived PST data. Performing a “Quick search” in MailStore automatically searches across all common attachment types including PDF’s and those created by Microsoft Office applications such as Word and Excel. If you’re using Outlook to create your PST archive data automatically (Autoarchive), if your machine is shut down at the end of the day or you’re away on annual leave, your data isn’t actually being archived at all. MailStore stores all mail centrally and is continuously taking perfect copies of your mail so it’s included in backup schedules and available from any location if required. In summary, archiving to PST is essentially just taking a snapshot of what’s in Outlook at a particular point in time. Unlike a true archiving solution which keeps a perfect centralised copy of mail from the very point it arrives and makes it very quick to find again, as you can see, there are lots of limitations. 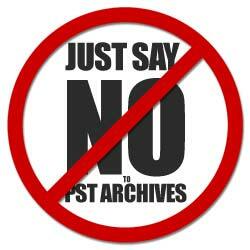 If you’re an individual looking for a free solution, I still wouldn’t recommend archiving to PST. You could happily use the free version of MailStore which would do a much better job.